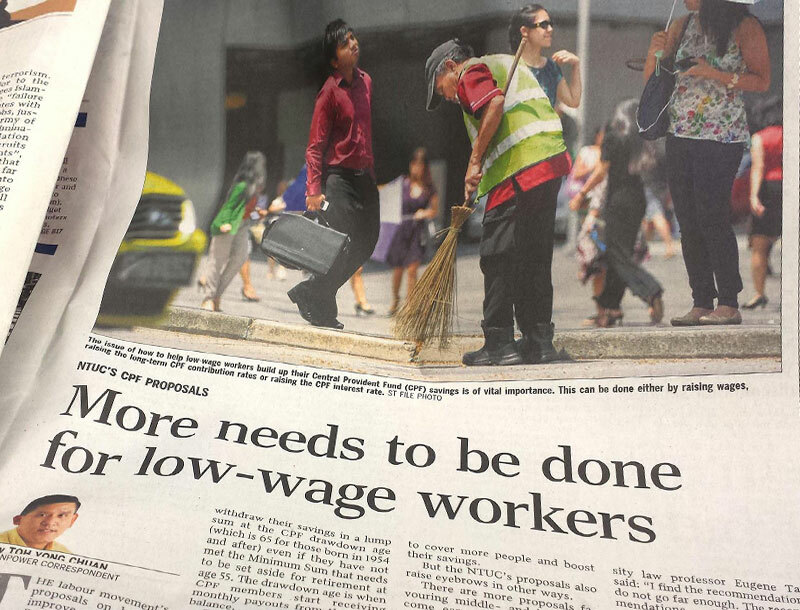 Siingapore’s Straits Times,1 February 2015, reports that the NTUC, which forms the majority of the county’s labour movement, says more needs to be done to close the wage gap for low income workers. 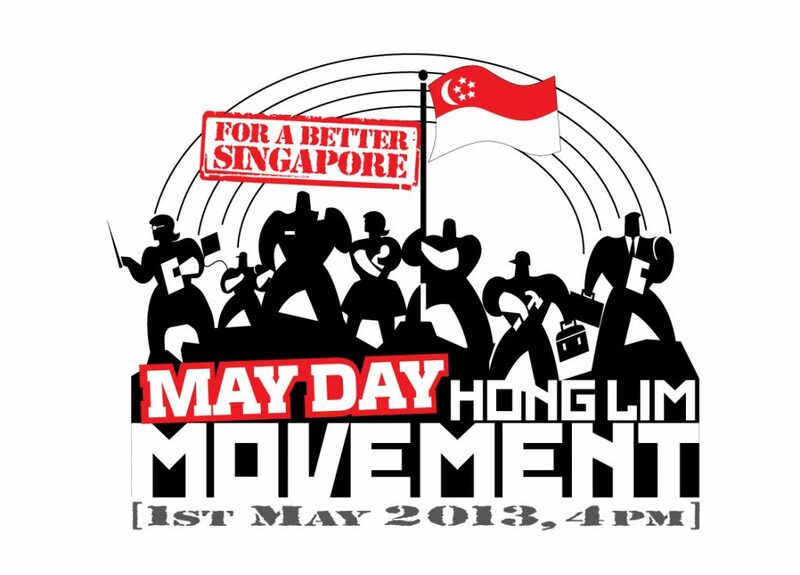 Inaugural Labour Day Protest – For A Better Singapore – Organised by transitioning.org in 2013. Dahl, Robert A. 1971. Polyarchy: Participation and Opposition. New Haven: Yale University Press. Fetzer, Joel S. 2008. ‘Election Strategy and Ethnic Politics in Singapore’. Taiwan Journal of Democracy 4, no. 1: 135-53. Gomez, Edmund Terence, Johan Saravanamuttu and Maznah Mohamad. 2012. ‘Malaysia’s New Economic Policy: Resolving Structural Inequalities, Creating Inequities?’ In The New Economic Policy in Malaysia: Affirmative Action, Ethnic Inequalities and Social Justice, edited by Edmund Terence Gomez and Johan Saravanamuttu. 1-28. Singapore: NUS Press/ISEAS; Petaling Jaya: SIRD. Kemp, Simon. 2012a. ‘Social, Digital and Mobile in Malaysia’. We Are Social, 4 Jan. http://wearesocial.net/blog/2012/01/social-digital-mobile-malaysia/. ––––. 2012b. ‘Social, Digital and Mobile in Singapore’. We Are Social, 5 Jan. http://wearesocial.net/blog/2012/01/social-digital-mobile-singapore/. Lee Hsien Loong. 2011. ‘Speech by Prime Minister Lee Hsien Loong at the Debate on the President’s Address, 20 October 2011 at Parliament’. Prime Minister’s Office. 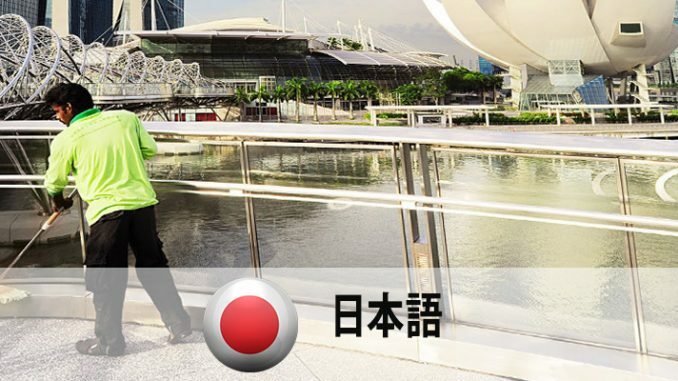 http://www.pmo.gov.sg/content/pmosite/mediacentre/speechesninterviews/primeminister/2011/October/Speech_by_Prime_Minister_Lee_Hsien_Loong_at_the_Debate_on_The_President_Address.html#.UjxLXBbGlz8. Lee Hwok-Aun. 2013. ‘Is Inequality in Malaysia Really Going Down? Some Preliminary Explorations’. Paper presented at World Economics Association Conference on the Inequalities in Asia: 27 May to 12 July. http://iiaconference2013.worldeconomicsassociation.org/is-inequality-in-malaysia-really-going-down-some-preliminary-explorations/. OECD. 2011. Divided We Stand: Why Inequality Keeps Rising. Paris: OECD Publishing. Ortmann, Stephan. 2009. ‘Singapore: The Politics of Inventing National Identity’. Journal of Current Southeast Asian Affairs 28, no. 4: 23-46. Statistics Singapore. ‘Key Household Income Trends, 2012’. Department of Statistics Singapore (February 2013). http://www.singstat.gov.sg/Publications/publications_and_papers/household_income_and_expenditure/pp-s19.pdf. Tan, Eugene K. B. 2003. ‘Re-Engaging Chineseness: Political, Economic and Cultural Imperatives of Nation-Building in Singapore’. China Quarterly 175 (Sept.): 751-74. Weiss, Meredith L. 2014a. ‘New Media, New Activism: Trends and Trajectories in Malaysia, Singapore, and Indonesia’. International Development Planning Review 36, no. 1: 91-109. ––––. 2014b . “Of Inequality and Irritation: New Agendas and Activism in Malaysia and Singapore.” Democratization 21, no. 5: 867-87.